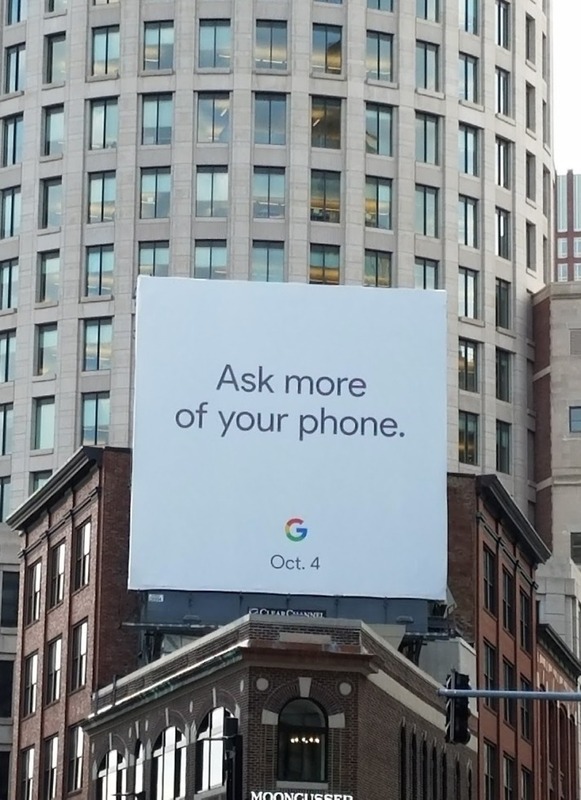 Reports initially suggested that Google would hold its Pixel 2 event on October 5, but according to the picture of a billboard in Boston that was just sent to us, they may double down and do it again on October 4. 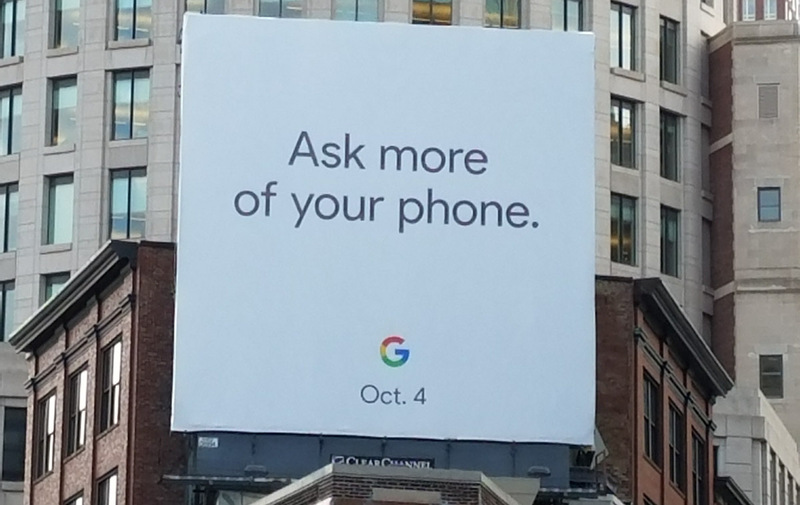 The billboard (pictured above), tells us to “Ask more of your phone,” followed by the “G” logo from Google and an “Oct. 4” date. We’ve reached out to Google for confirmation on October 4 being the correct date for their next big event and will update this post if we hear back. UPDATE: Google confirmed the date this morning.